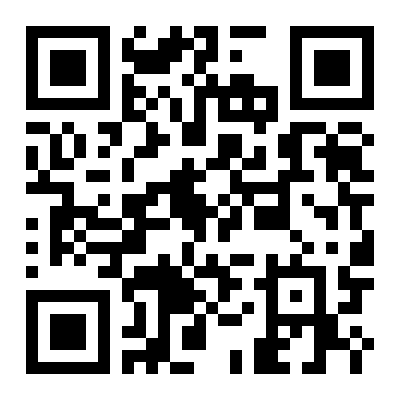 If you cannot view this page properly, please click HERE for text version. 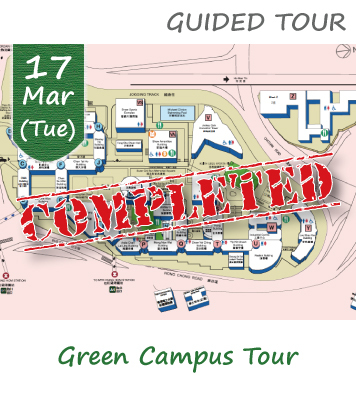 Thank you for your participation in PolyU Campus Sustainability Weeks 2015. 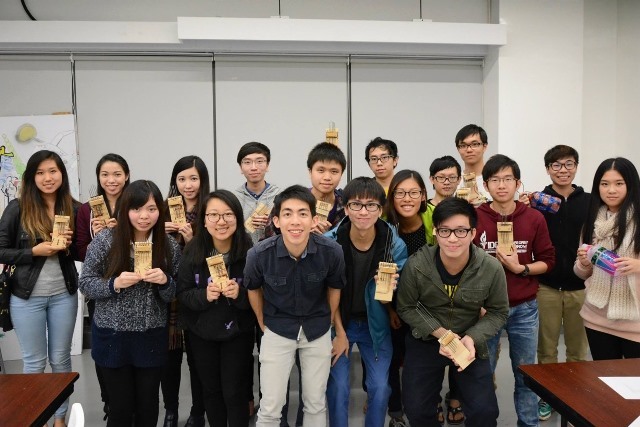 This is one of the most dynamic way in which you can support campus sustainability in PolyU. See you in 2016. 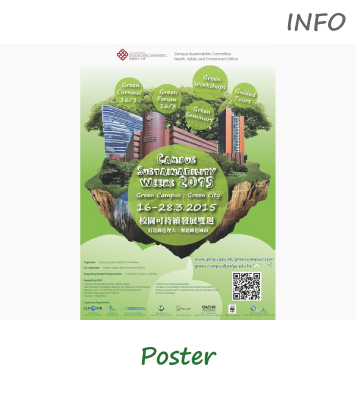 A Green Carnival will be organized to kick off “PolyU Campus Sustainability Weeks 2015” at Chan Sui Kau and Chan Lam Moon Chun Square (Logo Square). 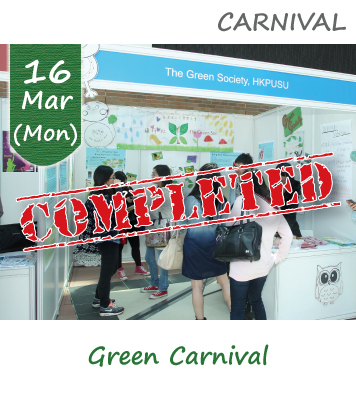 Green Carnival features interactive green information and game booths, as a platform for the sharing of green information and promoting environmental awareness. This year, we have added a special session, Green Forum, where guest speakers from different disciplines will share their valuable experience and insights on building a sustainable city. For details of the forum, please click here. Sustainability has been indisputably the pursuit of modern city planner and administrator. 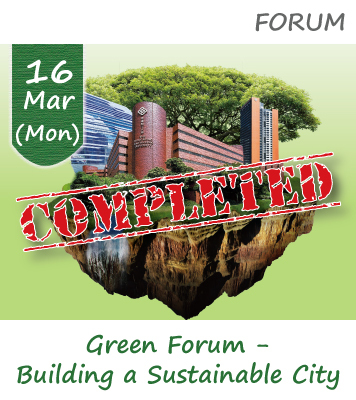 To kick off the Campus Sustainability Weeks 2015 and echo the theme “Green Campus; Green City”, we are honored to have guest speakers from Environmental Protection Department and PolyU to share their insights and experience in relation to building a sustainable city in the Green Forum on 16 March 2015. Please enroll to participate in the forum and enjoy the light refreshments to be served after the forum. Don't forget to bring your own lunch box, tableware and mug to support BYO! e-Certificate of Attendance will be provided to participants by email after the event. For PolyU students, those who are eligible for Co-curricular Activities (CCA) Graduation Requirement will be recognized as having participated 1 hour of non-credit bearing co-curricular activity after the event. 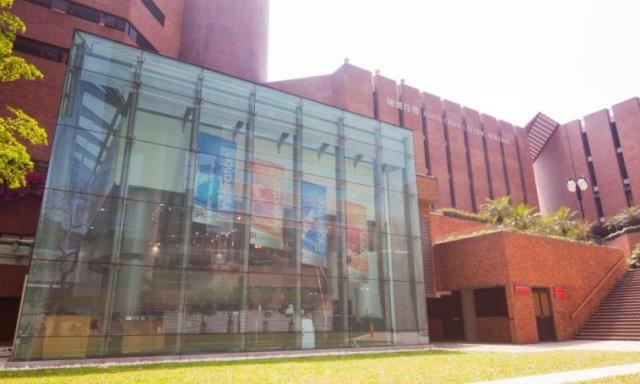 Located in the heart of the world class metropolis Hong Kong, PolyU has incorporated many green features to build a sustainable campus. 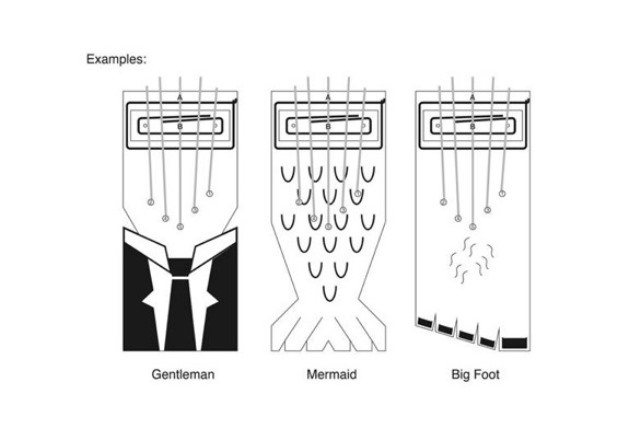 Can you name any of these features? Do you know where the eco-block paved road on campus is? Do you know the first Hong Kong-made electric vehicle to hit the international market is developed by PolyU? 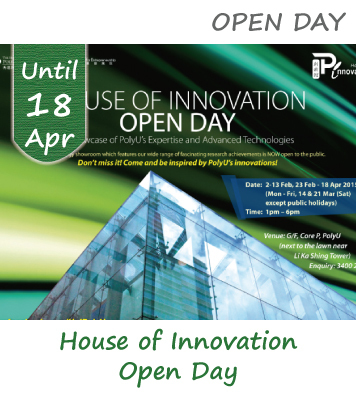 Have you ever visited the PolyU House of Innovation, an innovation and technology showroom that features a wide range of fascinating PolyU research achievements? Come and join our tour. Campus Sustainability Section of Health, Safety and Environment Office will give you an overview of these features and let you experience a different red brick campus. For PolyU students & staff only. Wines appear every dinner, celebration and party. 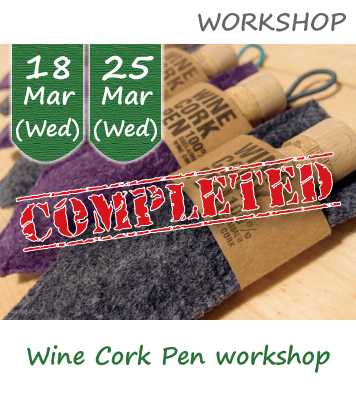 Every time we would open one bottle of wine, one wine cork would be discarded. 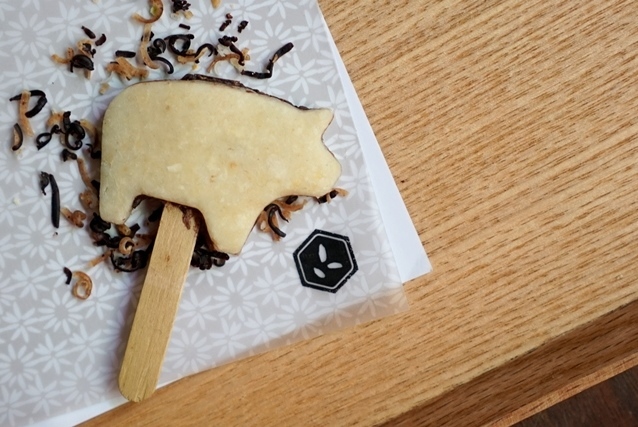 Before we throw it into rubbish bin, KaCaMa Design Lab will let you know in this workshop on how we can use it to make a pen by chopping it in small pieces. For PolyU students and staff only. 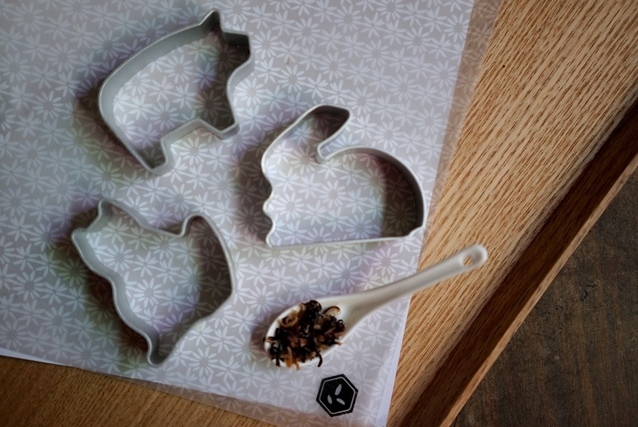 KaCaMa Design Lab is Hong Kong-based product designers who specialize in reusing post-consumer waste materials. 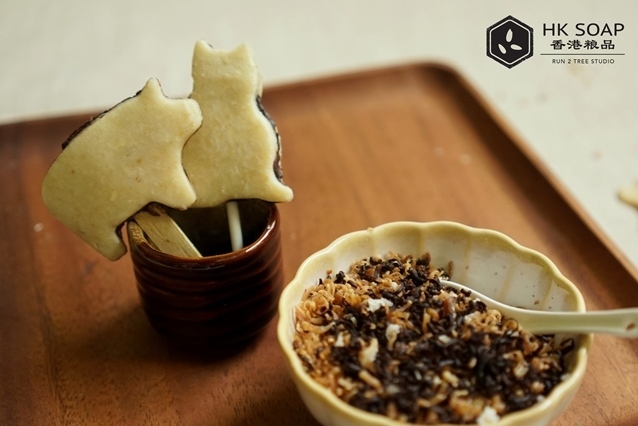 They hope their product not only can delight people’s lives and instill eco-awareness in its users, but also can establish contact with local enterprises, handcraft men and local cultures. Images of this webpage are provided by KaCaMa Design Lab. 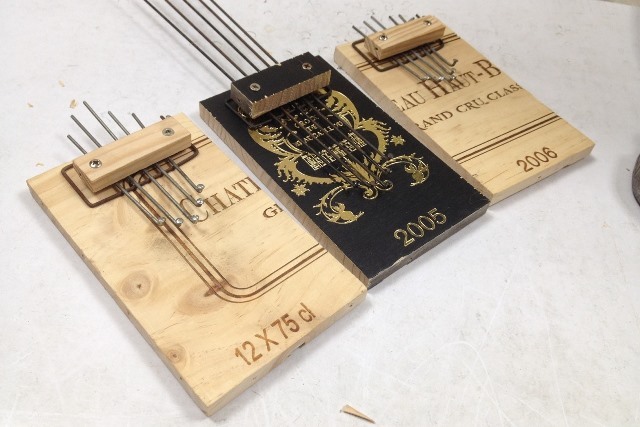 Upcycled Thumb Piano is made out of spokes collected from old bicycle wheels and wood from wine boxes, it is a simplified version of an ancient African instrument Kalimba. Containing 6 notes, easily play with both your thumbs. 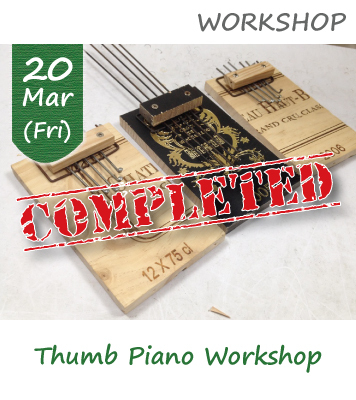 Organized by Kevin Cheung, the workshop will start with an introduction of upcycling and previous works followed by a workshop which takes approximately an hour. After that we can spend some time to try tuning the piano and if time allows, can play some simple songs. 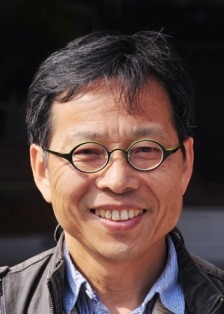 Please visit his website at http://www.kevin-cheung.com/. 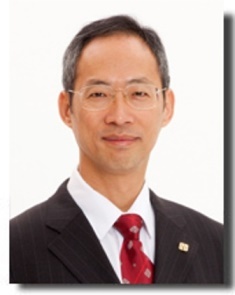 Images and videos of this webpage are provided by Mr. Kevin Cheung. 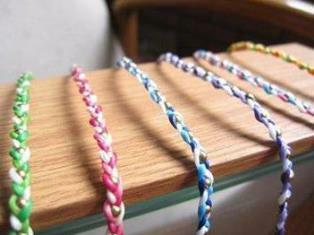 Do you know you can use old clothes (outdated garment) or other unused material to make the strips and a bracelet in a combination of joined or interlocking loops? 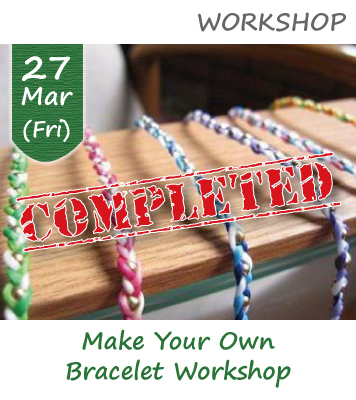 Join PolyU Green Society to make a bracelet in your preferred style by reuse and recycle old clothes. For students of PolyU only. 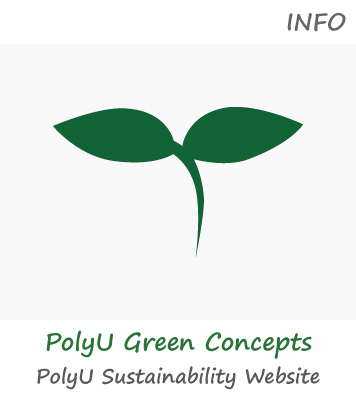 Please visit the PolyU Green Society’s website at https://www.facebook.com/PolyUGreenSociety. 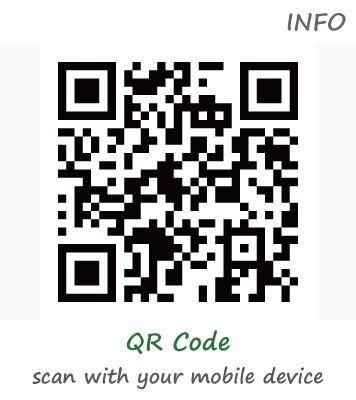 Images of this webpage are provided by The Green Society, HKPUSU. 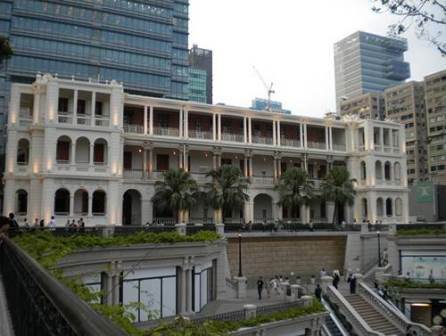 After the heated concerns over the conservation of Star Ferry and Queen’s Pier in the last decade, heritage conservation is no longer a strange vocabulary to the general public. Since then, different stakeholders of society have been proactively expressing their opinions on various cases on the demolition and revitalization of heritage buildings. 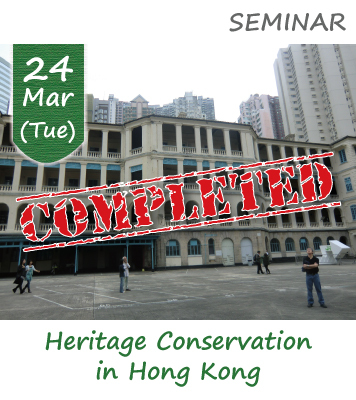 This seminar with Mr. Lau Kwok Wai as the speaker will cover the discussions from the history of conservation movement in Hong Kong since 70‘s, the government’s conservation policies to the challenges and difficulties in the conservation field. 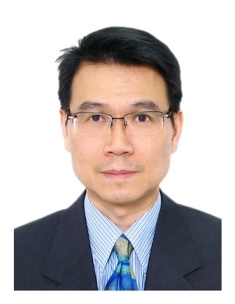 Graduated from Master of Arts in Comparative and Public History in The Chinese University of Hong Kong, Mr. Lau is The Executive Director of The Conservancy Association Centre for Heritage (CACHe). 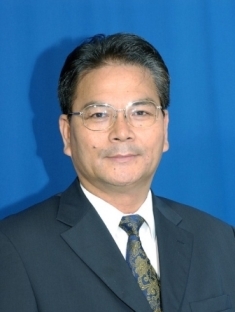 In hope to highlight to the public the importance of our city’s culture and history, Mr. Lau has been proactively organizing and curating a diversity of heritage conservation programs, from cultural tours, thematic exhibitions, free publications to craftsman workshops, etc. Images of this webpage are provided by Mr. Lau Kwok Wai. Our food and ingredients are facing an absurd situation! Tons of inglorious fruit and vegetable are being wasted every day, but they are just as good as others, so why not making well used of them for body care? 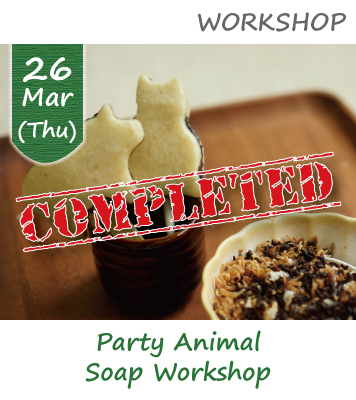 Organized by Run 2 Tree Studio, this workshop will make Soap with rice chaffs and coffee ground, shaping them to animals, to rehabilitate the non-calibrate and unperfected food. So, what are you waiting for? Let’s join us and Party with them! Run 2 Tree Studio is a green-based design studio which has been committed to promote sustainable living through design since 2012. We encompass key features that enhance the awareness of the public towards the forgotten environment, including holding up-cycling workshops, setting up Social Design Project and providing corporate social responsibilities opportunities etc. We encourage the population in the urban society to use their creation in bringing the message of building a better world. 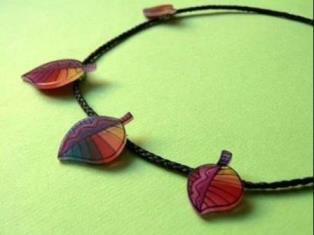 Images and videos of this webpage are provided by Run 2 Tree Studio. 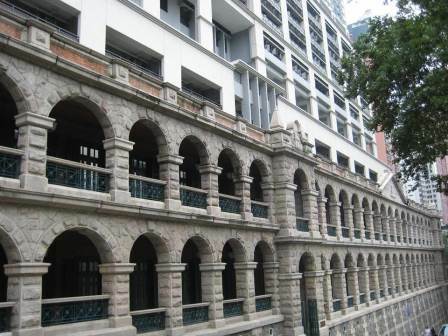 Since 1850s, Sai Ying Pun has been serving as the area of Chinese’s settlement. Situated west of Hong Kong Island, Sai Ying Pun is relatively behind Central and Sheung Wan in the pace of urban development, therefore most of the traditional industries and heritage architectures remain in the area to date. In face of MTR Western Line extension, however, the neighborhood is now undergoing a rapid redevelopment process, leading to the closure of many old shops. 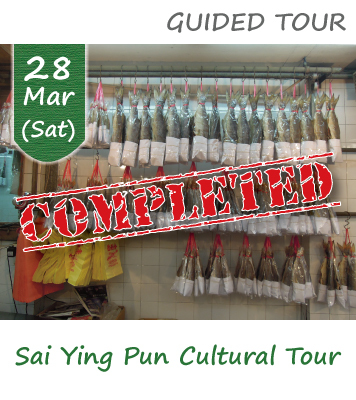 In this cultural tour with Mr. Lau Kwok Wai as the guide, participants will set foot in the district, which will soon undergo a drastic change, through knowing more about the geography, street shops and historical architectures in the district that characterize the unique features of Sai Ying Pun. 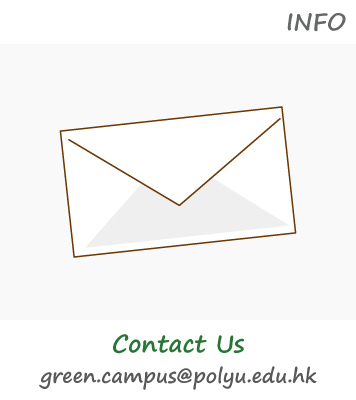 If you have any enquiries, please contact us at green.campus@polyu.edu.hk. This page is best viewed with Chrome (version 40 or above) & Internet Explorer (version 11 or above).